■ CZ-1 Delivers a Natural Sound Field / External Localization Feature Also Suitable For Video Viewing. Headphones have the advantage in which the sound source is set close to the ear. This allows for easier detection of fine sounds and does not cause disturbance to others when enjoying music individually. 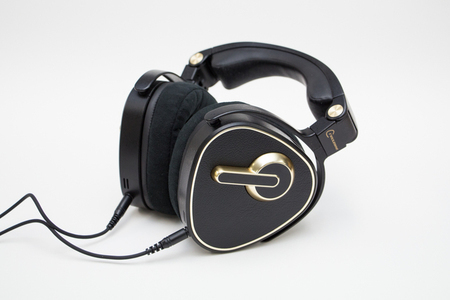 It is the ideal item for personal listening enjoyment. But one big problem remains. Headphones generate a “sound field” and “sound image” within the head, a phenomenon called “internal sound localization”. Loud speakers on the other hand, create a sound source oriented at the front. 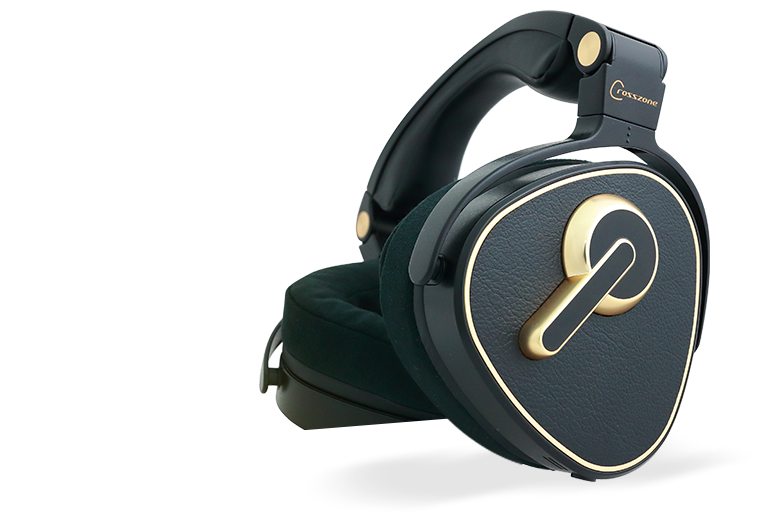 As headphones have a different form of playback, many audiophiles or those who favor stereo sound commonly point out this problem as the main reason for not preferring to use headphones. 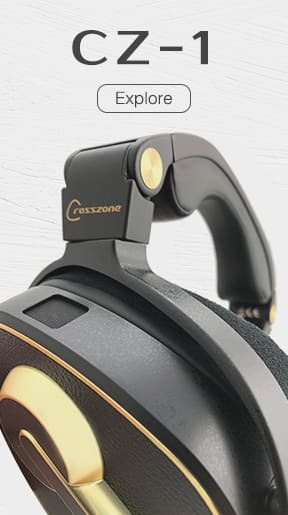 The CZ-1 released by Crosszone is a revolutionary headphone that overcomes this problem. In each housing, slight sounds from the opposite channel and the reflected sounds are mixed to create a natural and spatial sound. The three driver units are also uniquely positioned to create an external sound image. This effect has been achieved before using digital signal processing (DSP) technology, but the CZ-1 actualized this through purely acoustic resonance technology (ART). This is a real breakthrough. The headband of the CZ-1 is made from die cast magnesium and also has a pressure adjustment feature using torsion springs on each side for long term comfort. Today I plan to pair the CZ-1 with video equipment, to create a “personal concert hall”, and have an exclusive experience of listening to live recordings of rock and pop music. I’ve prepared this system for an individual setting. Panasonic’s organic electroluminescence TV, TH-55EZ950 and UHD BD player, DMP-UB900 are used. I’ve connected them with an HDMI cable to play the DVD. 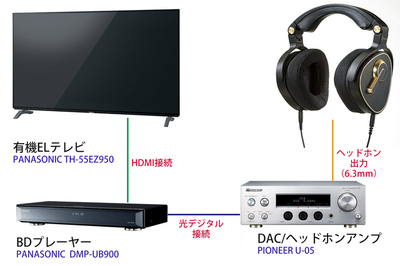 The optical digital signal from the DMP-UB900 is transferred to Pioneer’s USB-DAC, U-05 which has a built in amplifier. The CZ-1 is connected to this device. What I’ve set up is just an example. Both the TV and UHD-BD player are of the latest type, so if you’d like to further enhance the sound effects, you can opt for other brands of headphone amplifiers as development in this category is progressing at a remarkable rate. ■ Inoue Yosui’s beautiful vocal and whole tone scale accurately delivered by the CZ-1. 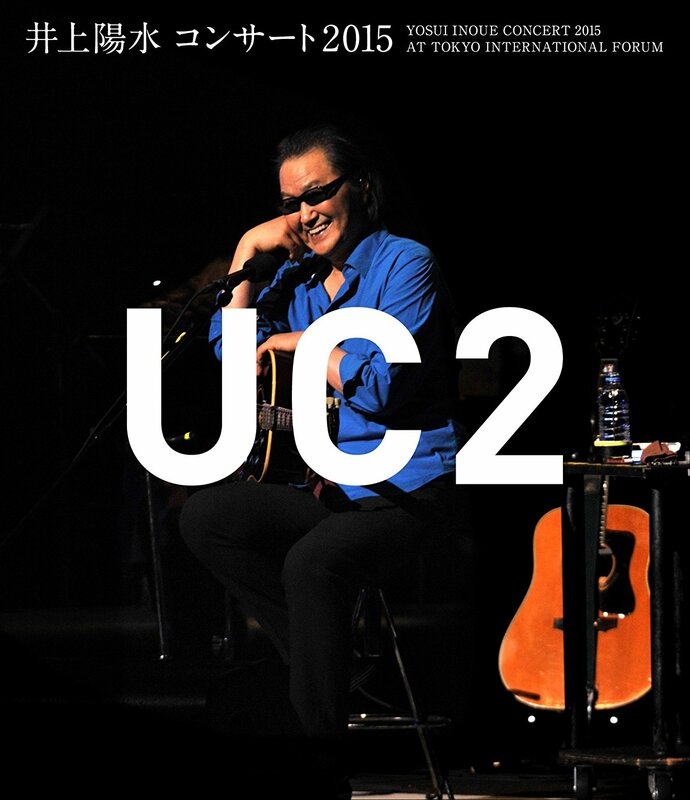 First I watched “Inoue Yosui’s Concert 2015/UC2”. Yosui’s live performance on screen and with audio through the CZ-1, worked perfectly to bring out the forward staging effect. His raspy voice was rendered live and real and I couldn’t help but to be captivated by his performance. The high treble and instrumental presentation were all delivered by the CZ-1 in profound detail. Vocal harmony of the two female vocalists were accurately presented and accompanied with full tones, which further enhanced the tri-dimensional effect as advertised in the CZ-1. 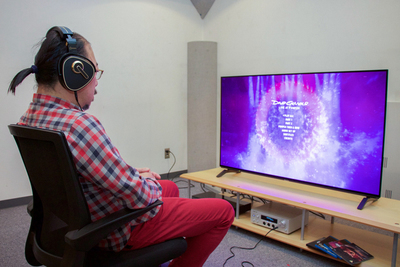 Longer than average 3.5m cable allow for a more relaxed audio-visual environment. In his greatest hit “A World of Ice”, we experience a strong Latin rhythm arrangement. Together with the flashing lights and advancement of the cameras, it brings together the full musical experience and makes me move unconsciously in synchrony with each beat of the music. ■ The 3.5m cable allow for a more relaxed audio-visual environment. 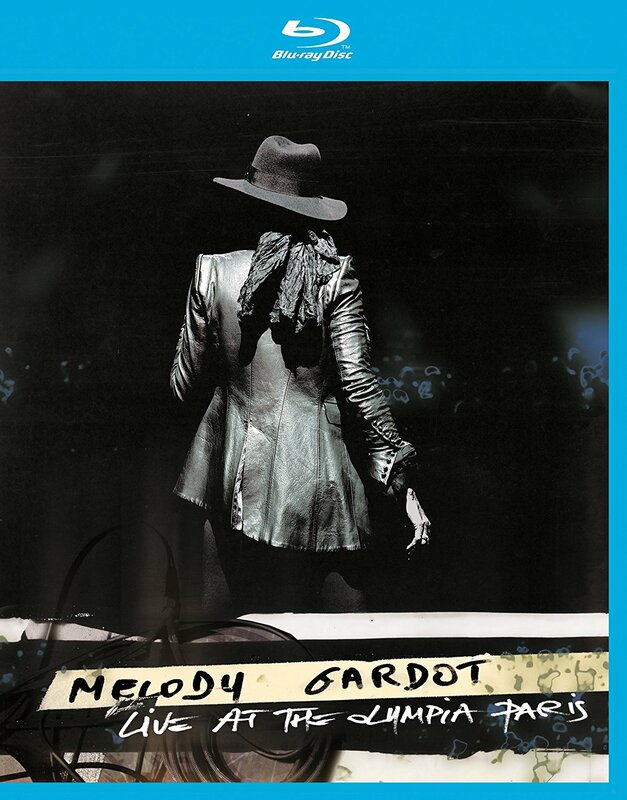 Next is the live performance of “Melody Gardot – Live at the Olympia Paris”. In “Morning Sun”, the CZ-1 impeccably delivered her sharp and steady performance, delicately reproducing her end notes and intonation. The interweaving of the wind instruments was also beautifully spread throughout. Each arrangement was fully presented, proving once again CZ-1’s ability in dynamic delivery. Along with the visuals, this made for perfect immersion. 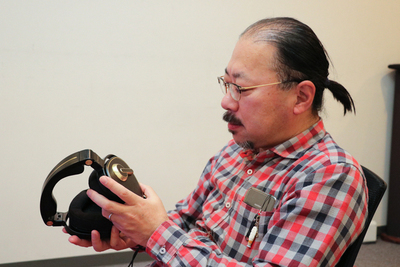 Conventional headphones, with its “internal sound localization” would not have made this possible. The accessories of the CZ-1 include a 1.5m and 3.5m cable, both of which can be freely detached. I’ve been told that the 3.5m length was calculated sitting on a couch in a room (about the size of 6 to 8 tatami mats), facing the television. In this distance, the cables are comfortably positioned and do not stretch or loosen. This is my first time using a 3.5m cable, and at a certain distance from the screen, you will be able to find the most comfortable position for listening. If the cables were any shorter, it wouldn’t be as convenient. ■ Rediscover the sensation of viewing live performances with high quality audio and visual. 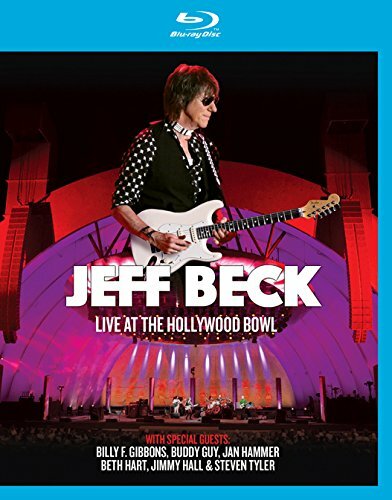 In “Jeff Beck – Live At The Hollywood Bowl”, the CZ-1 brings out a high resolution and clarity of sound. It draws attention to Beck’s emerging solo on his guitar and the delicate plucking and changes in fingerings throughout. Guitar lovers should be most fascinated with the extensive detail and thrilling dynamics. If you are watching with a small screen from a PC and built in amplifier, you definitely won’t be able to get this immersive experience. At the encore, Steven Tyler and the other band members from Aerosmith re-appeared onstage and performed “Purple Rain” by Prince, the legendary performer who has passed away. At this point, Beck’s moving guitar solo was enough to make one cry! It was a wonderful solo in tribute and remembrance. It would definitely be a pity to watch this performance without decent visual and audio. 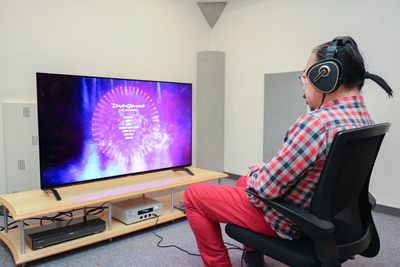 ■ The CZ-1’s audio performance is no less than that of a large screen. The last performance I watched was Pink Floyd’s live band performance in Pompeii, Italy’s world heritage site. 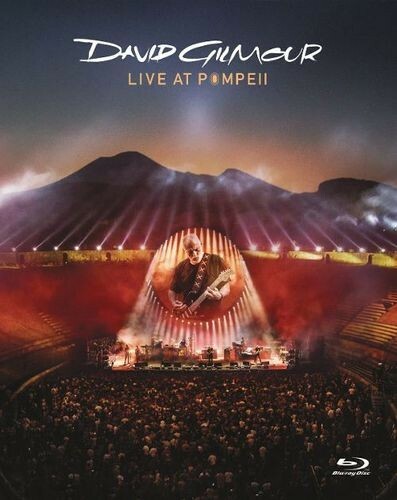 This is “David Gilmour – Live at Pompeii”. His extremely exquisite guitar performance and the musicians’ instrumentals came together perfectly. 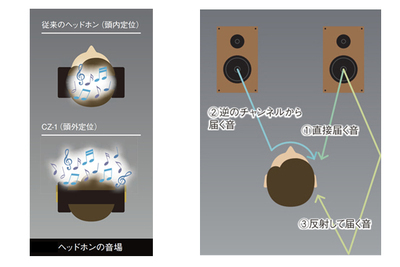 Even though the sound stage and atmosphere created by the amphitheater would be very suitable to be played with stereo speakers, the tri-dimensional atmosphere is also well-characterized through the headphones. The CZ-1 plays back the richness in sound of Gilmour’s guitar, and one can easily distinguish the subtle change in dynamics. It was all a very emotional experience from “Wish You Were Here” to “Money”. In “One of These Days”, the venue’s mystical atmosphere echoes, and you are able to fully immerse yourself in the music. 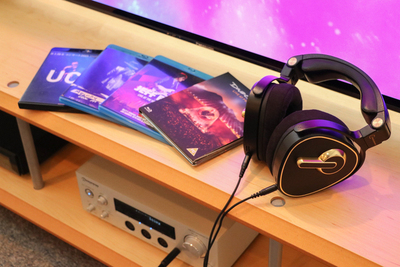 Even though it would be better to enjoy the performance through a larger screen, in terms of sound, I am confident to say that the CZ-1 does live up to its potential.